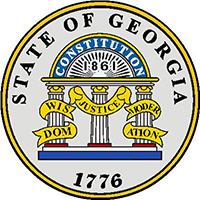 A list of Georgia Candidates for Congress are listed below by congressional district. 1734 After their ship had grounded on a sand bar in the mouth of the Savannah River the previous day, the first group of German Salzburgers finally reached Savannah, Georgia. The entire town turned out to watch their arrival, and several cannon were fired to salute Georgia's newest colonists. 1739 James Oglethorpe wrote the Trustees in opposition to a petition being circulated in Savannah asking the Trustees to revoke their ban on slaves on the grounds that white men could not work in Georgia. Identify with Jesus with a Christian t-shirt.